How do you intend to travel to the British Grand Prix? Many fans choose to drive to Silverstone by car and information regarding that is detailed below. For those of you who do not own a car or want to avoid the queues, there are numerous public transport options for you to consider. Is there a coach or bus service? Yes! MegaBus provide a bus service from all the major towns and cities around the UK and acts as a fantastic “no hassle” way to arrive and depart from Silverstone. Kick back and relax on the bus with other budding F1 fans whilst others take their chances with the busy car parks. Silverstone is pretty much equidistant between Northampton, Milton Keynes and Banbury train stations (30 minutes roughly). Shuttle buses run from Northampton and Milton Keynes stations and are payable on the day (sorry, we’re not sure how much this costs but it won’t be an outrageous amount). Silverstone encourages fans to use the two Park & Ride services as a way to avoid the massive congestion around the circuit. There are two sites: M1 and M40 and are considerably cheaper than parking at the circuit which is not free. More information about parking your car at the circuit and the Park & Ride scheme can be found here. Silverstone Helicopters provide return Helicopter journeys for the Formula 1, British Grand Prix. The helicopter is a AS355 twin engine helicopter with seating capacity for 5 people per flight. Only twin engine helicopters are allowed to use the Silverstone airfield for the grand prix. This has increased the prices charged considerably. Helicopter shuttles will be operated from a helipad in Bicester to the Silverstone Heliport. Prices per person are from £820 +VAT, based on a minimum of 4 people traveling. I’m arriving at wolverton station going to Silverston on 5th July. Does anyone know if there is a shuttle from wolverton train station or a suitable taxi company to use? It might be better to head to Milton Keynes, which I believe is the next stop. Stagecoach are running return coaches to Silverstone from there. 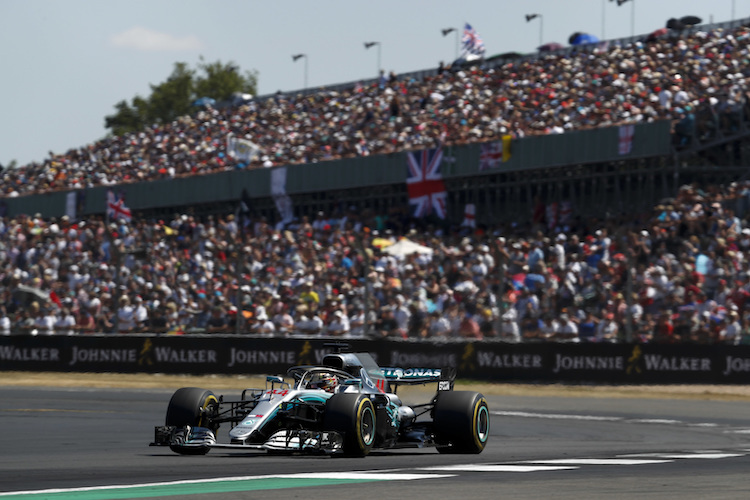 Will there be shuttle buses from Milton Keynes to Silverstone Circuit on 2 July returning 6 July? I would contact the hotel directly regarding this as they will be best placed to advise you. im going on Sunday to the race from MK, what time would you suggest leaving home ?? Early!! gates open at 6 and car parks open about 30 minutes before that. We are staying in Towcester for the Grand Prix weekend, can anyone please advise how to travel to and from the silverstone circuit and Towcester. I have opted for Megabus service from London to Silverstone. But I am not sure how far is the circuit from where I am going to get down. Is it walkable distance from Silverstone bus station? Silverstone village is a short distance from the National Pit straight entrance. hi im stopping in banbury for whole weekend . what the best bus service to get there and back . i want to arrive at the track early. Hi Richard, I don’t believe there’s a direct bus. Have you thought about using the Park and Ride service from the M40? Does anyone know if the dedicated shuttle bus from Milton Keynes departs from the Bus Station or from the Train Station on the day of the British F1 GP? Furthermore, does anyone know the timetable, how frequent the service is, and how long takes to get to the circuit. I am to get to Milton Keynes by about 1030 ish on the train. Shuttle buses run from Northampton and Milton Keynes stations and are payable on the day. I flew from Ireland this year for F1, seat in Abbey, hotel in Luton and Megabus return ticket. Very expensive weekend for a pensioner but worth every euro/pound! Have just bought my ticket for Abbey F1 2018 and will save for a longer trip. Am I allowed to enter competitions or are they just for UK residents? If not, they should be! Here’s hoping. Hi Susan, Our competitions are open to everyone. I’m glad you enjoyed your trip this year and hope you have a great time in 2018! staying close to baker st tube station, megabus pickup from Victoria & Gloucester tube station, which one is closer, tansportation to F1 Race at Silverstone. Arriving from Canada, visiting. Hi Marilyn, You might be better to take the train to Milton Keynes (from Euston) and take a transfer coach from there. Hello, are there cab companies operating from silverstone to towcester please? I shall be with my young grandson & prefer to pre-book a taxi to our hotel. Yes if you do a search on Google for Towcester taxis or Silverstone taxis, there are a number of companies. I am camping from the Wednesday with my dad, but I need to leave straight after after the race, he is staying on till the Monday. Can I buy a single ticket for the shuttle bus to Milton Keynes station on the day?